One of the fastest growing outdoor adventures sports is Fat Biking. 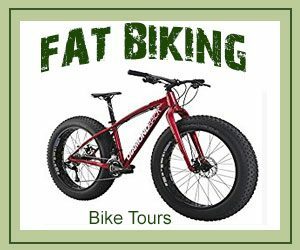 Similar to Mountain Biking, Fat Biking involves the use of Fat Bikes – Bicycles with oversized and extra wide nubby tires with a much lower air pressure than a regular bicycle tire. 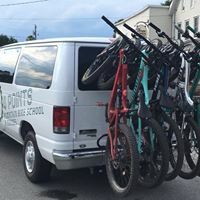 We know of an experienced bicycle guide company can demonstrate and improve your mountain biking and fat biking skills and get you to the hills and back safely. Contact us for information about featuring your New England Adventure business in NE Living Magazine. Fat Biking is similar to Mountain Biking – but with a specially designed Fat Bike. A heavier, flexible framed bike designed to run extra wide (fat) tires which operate at a much lower psi than regular mountain bike tires. This provides better traction in light snow, on soft gravel or at the beach. According to Fat Bike riders and mountain biking enthusiasts, Fat Bikes are more comfortable on your back and can be much easier to ride on some surfaces – especially loose sand (like at the beach) and in light gravel or snow. The lower air pressure and wider surface of the tires allow for better grip and make it possible for the bike to “float” on the surface better than a Mountain Bike. The advantages come at the cost of more expensive tires, slower ride on hard surfaces, and a general “sluggish” feel compared to a tradition Mountain Bike. 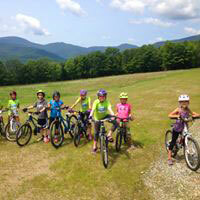 The Stowe, Vermont based 4 Points Tours offers Mountain Biking and Fat Bike riding lessons and will take you out on the hills of Vermont with trained professional riders. The company also offers Beer Tours to quench your thirst at some of the most famous Craft Brewers in the world. For more information visit 4PointsVT.com.